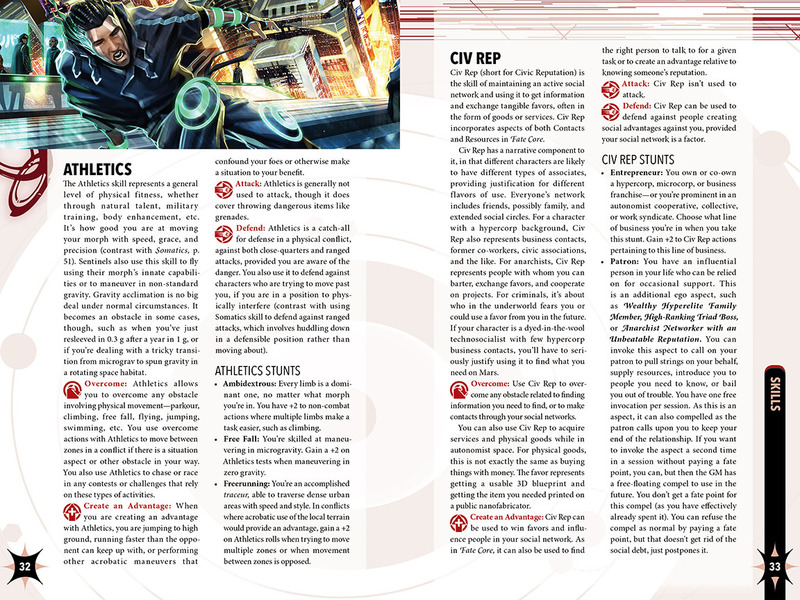 People have been asking for a Transhumanity’s Fate character sheet. 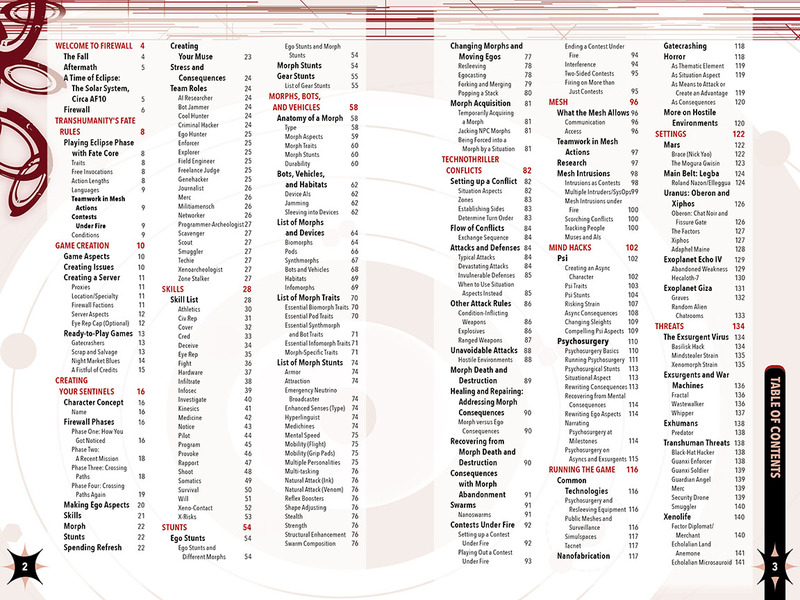 We’ll have a prettier official one out soon, but for now, here’s a fillable PDF sheet I created for playtesting. Der Beitrag Transhumanitys Fate Charakterbogen erschien zuerst auf FateRpg.de. 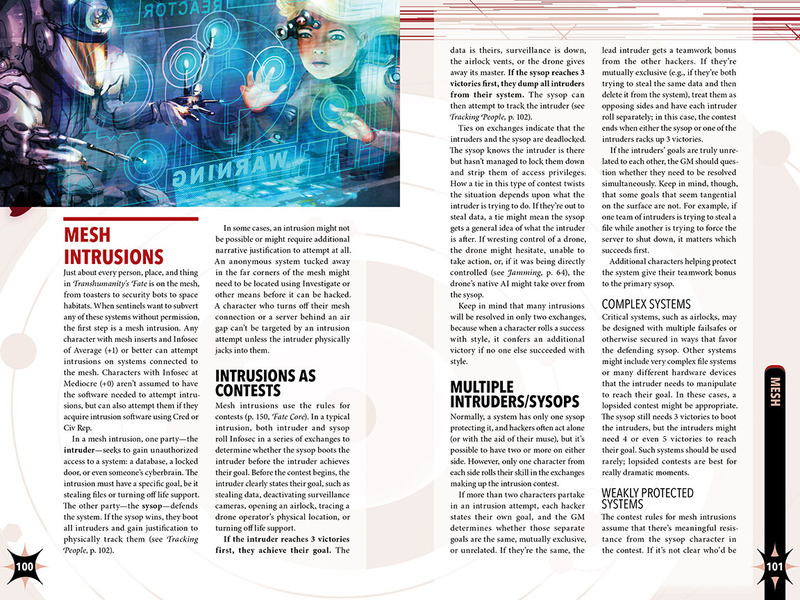 Transhumanity’s Fate is a 144-page full-color rulebook that brings technothriller espionage and horror in the world of Eclipse Phase to the Fate Core system. 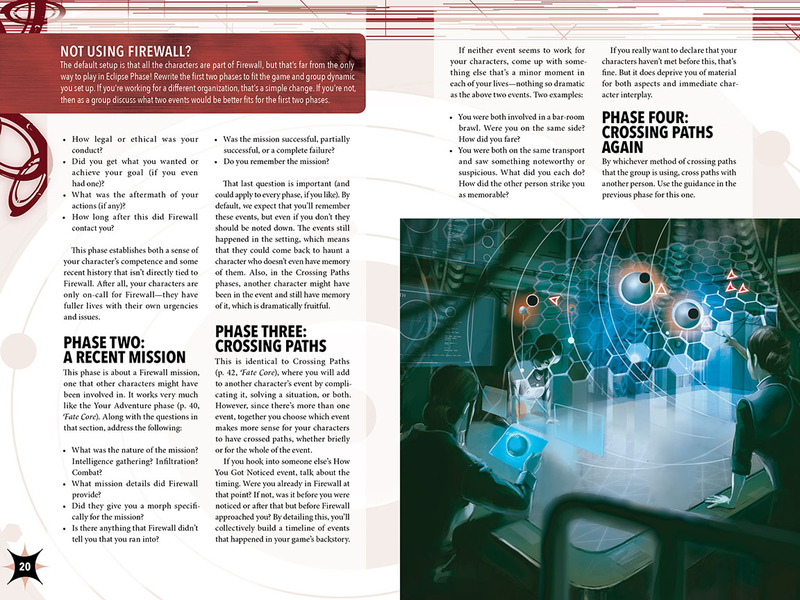 Join Firewall, and defend transhumanity in the aftermath of near annihilation by artificial intelligence. Transhumanity’s Fate is authored by Ryan Macklin and Jack Graham, and is available under a Creative Commons BY-NC-SA license. 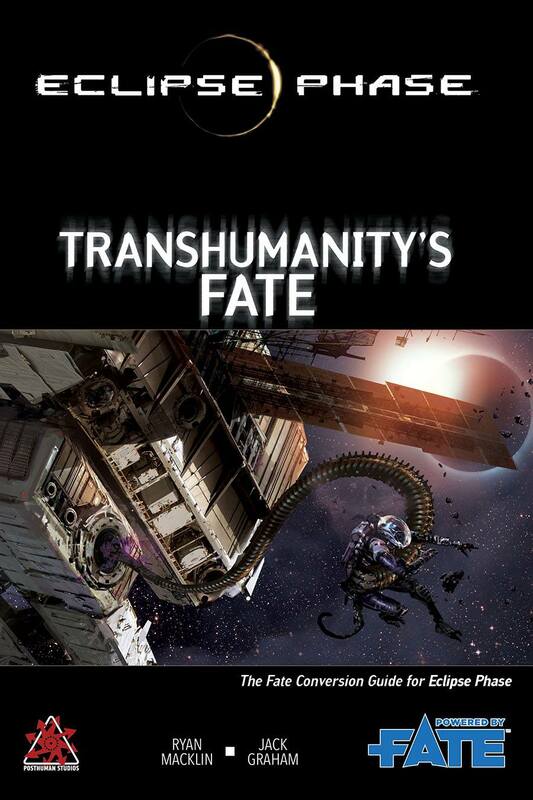 The print version of Transhumanity’s Fate will be available this summer. The Posthumans dedicate this book to Jef Smith, our companion of many days & nights around the table. Jef was a tireless organizer in Chicago’s science-fiction/fantasy fandom, including the Think Galactic reading group and the spin-off convention, Think Galacticon. In 2015, he co-published the Sisters of the Revolution: A Feminist Speculative Fiction Anthology with PM Press. We will miss Jef’s encouragement, wit, and bottomless generosity. The person who lives large in the lives of their friends is not soon forgotten. A portion of profits from Transhumanity’s Fate will be donated to Jef’s family. We’re looking for new volunteers to run Eclipse Phase games (of both the regular and Fate flavors) at Gen Con in Indianapolis this summer. We pay our GMs with cash and some complimentary materials. If you’re interested in spending some time running Eclipse Phase for us, please email info@posthumanstudios.com! Der Beitrag Transhumanity’s Fate – offizielle FATE Conversion für Eclipse Phase veröffentlicht erschien zuerst auf FateRpg.de. Transhumanity’s Fate ein Fate Core Regelwerk für Eclipse Phase, das im Zuge des Crowdfunding zu Transhuman: The Eclipse Phase Player’s Guide als 120.000$ Stretchgoal Wirklichkeit wurde, ist heute für die Backer des Crowdfundings verfügbar. Alle anderen müssen noch bis zum 16.03.2016 warten. Der Beitrag Transhumanity’s Fate – Fate Core Regeln für Eclipse Phase erschien zuerst auf FateRpg.de.